Pure "West 'n Fresh" essence. Fresh scent created to match the Western ambiance and kitchen. 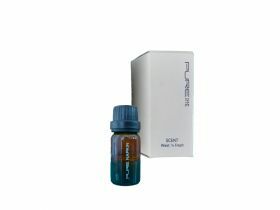 Water-soluble perfumed essence (10ml) in bottle with pipette. Adding the essence to the water*, the Pure Napkin will absorb the scent. *Add 1 or 2 drops per 250ml water to create the right scent. 1 bottle is sufficient to create approximately 50 litres of scented water.